Nigel has been the Rector of Saint Esprit since 1994. He was born in Staffordshire, England, and spent part of his childhood on the island of Cyprus. After studying Ancient History and Archeology specializing in Egyptian Hieroglyphics at Birmingham University, he read theology at Oxford University and was ordained to a parish in Birmingham. During that time he also took a degree in Islamic Studies. Before coming to Saint Esprit, he worked for the Church of England's Board of Mission and Unity, researching relations between Christians and Muslims in France, and was Advisor to the Bishop of London on Interfaith Relations. 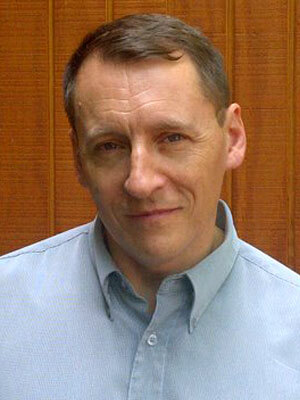 He is the Chaplain of the Huguenot Society of America, and a spiritual director at the General Theological Seminary. 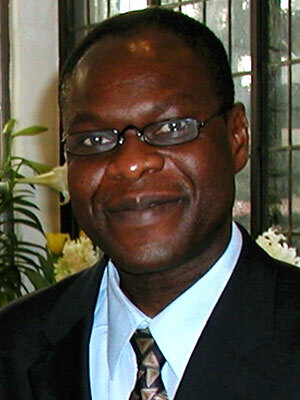 He is the Chair of the Diocesan Global Mission Commission, and a Trustee of the Cathedral of St. John the Divine. He is married to his partner of twenty-eight years, and they have a black Labrador named Stormy. Frederic was born and raised in Paris, France. He graduated in applied Foreign Languages from Nanterre University (Paris X) while completing his last year at San Jose State University in California. As well as being the Parish Administrator and assistant to Nigel, Frederic is one of our volunteer French teachers who taught beginner classes and now teaches conversation. He is also a singer and a musician, and enjoys competing in road and trail races of all distances. 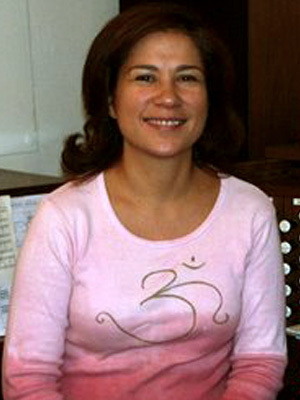 Cynthia has been Saint Esprit's music director for twenty years. She began her formal music studies at the University of the Philippines, then came to the U.S. at the invitation of the Opera Company of Boston. She attended the Juilliard School of Music, where studied with the Metropolitan Opera’s Rose Bampton, and received a master's from the Manhattan School of Music. She conducts choirs and teaches voice at the Calhoun School and is an active performer, with groups including the American Chamber Opera Company and at the Hamptons Summer Music Festival and Bar Harbor Music Festival. 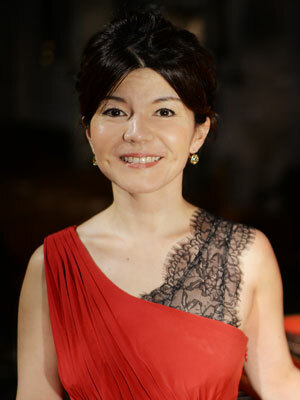 A native of Kobe, Japan, Ms. Hamada made her debut with the Kobe Chamber Orchestra at the age of seventeen. She has won many awards, including first prize in the London Music Festival Competition and second prize in the Josef Hofmann Piano Competition, and earned her master of music degree in the inaugural class of Historical Performance from the Juilliard School. She studied under Kenneth Weiss in New York and Skip Sempé in Paris. She can be heard on the Naxos, BCMF Records and Live Notes/ Nami Records. What is it? Who are they? The term "Vestry" once referred to the room in a church where sacred vessels and vestments were kept. Over time, this term was adopted to identify those persons entrusted by a congregation to conduct church business. At Saint-Esprit, the Vestry is made up of church members in good standing who are elected every year to oversee the parish's finances and activities, and to support the Rector in his work for the spiritual welfare of the congregation. Vestry members are elected at Saint Esprit's annual meeting each May for periods of three years. The congregation also elects officers, who hold additional responsibilities as legal representatives of the church. Guillaume came to Saint Esprit in 2006 and was elected to the Vestry in 2009, and as Junior Warden in 2011. Originally from Togo in West Africa, he comes from a historically important religious family, as his grandfather was one of Togo's first evangelists. Guillaume completed studies in Togo, Germany and Canada, and is fluent in French, English and German. He is a graphic artist and master printer by trade, trained in Germany to supervise Heidelberg high-speed presses. 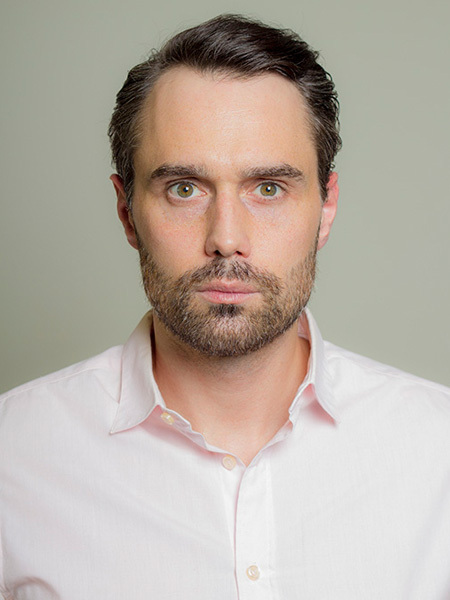 Guillaume and his wife Philippine have three children, Jonathan, Johan and Josué. On Sundays, Guillaume often serves as a lay reader and leads the Prayers of the People, for Sunday services, and is a choir member. Guillaume has been the driving force behind Saint Esprit's Fête Afrique, an annual celebration every summer whose liturgy and reception celebrate African cultures and spiritual expression. Philippe came to Saint Esprit in 2008 and was elected to the Vestry in 2011. Born in the UK, his parents both emigrated from France shortly after the Second World War and raised him in a French milieu. He attended the Lycée Français in London and was active throughout his youth at at L’Eglise Protestante Français de Londres, where his Mother was a Sunday School teacher and his Father a Vestry member. At Saint Esprit, Philippe helps out during French conversation lessons and has been active with “The Joueurs”, an ad hoc francophone theater group. Formerly a business manager for a Fortune 50 corporation, Philippe contributes some of his marketing and operational skills to the service of the church. Helena Ayeh considers herself forever indebted to Paula Scardino, a member of St Esprit, who casually invited her to a Taize service on Maundy Thursday several years ago after noting a shared fondness of Early Music. Several more visits resulted in an eagerness to be engaged in the life of the Church. Having grown up – literally - in the Anglican Church in Ghana, and helped with youth activities whilst a member of St Michael’s Anglican Church in Paris, France, she was delighted to be part of the Anglican/ Episcopalian tradition once again after a rather long departure. As she got ready to begin what appeared to be a potentially promising professional life in Ghana, Helena suddenly reversed a decision to decline an offer from a family friend to work as an Architect in his brother-in-law’s New York office “for a year or so”. Being part of a family such as what one finds at St Esprit has contributed enormously to what she thinks is the brilliance of that sudden decision reversal. 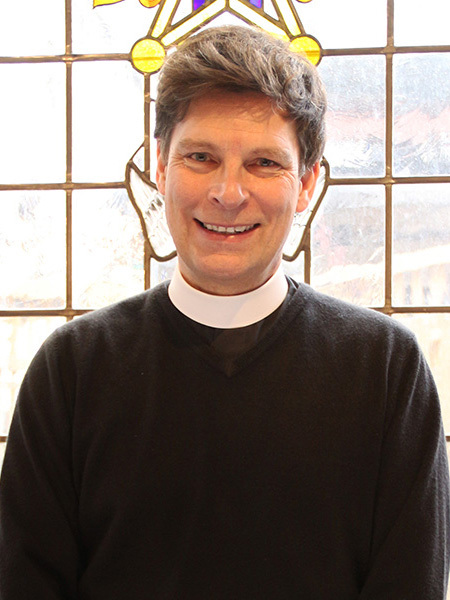 Stephen came to Saint Esprit in the late 1980s and was elected to the Vestry in 2010. He is a descendant of a Huguenot who was forced to flee France in 1610 and is a member of the Huguenot Society of America. Steve was raised an Episcopalian and served on the vestries of his parish churches when he lived in San Francisco and later in Philadelphia. On arriving in New York in 1980, he joined St. Thomas Church, where he is an usher and a lector. Steve is in private practice of clinical child, adolescent and adult psychiatry and he does consultations for the courts. He is a lifelong Francophone and Francophile, having studied French in high school and in college, and is currently writing a play in French. Stephen loves our dear Saint Esprit and is enjoying the added bonus of being able to improve his French. 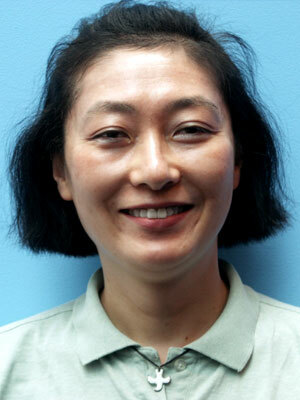 Makiko was received into the Episcopal Church in 2005 and joined the Vestry in 2006. After encountering the Taizé community in France, she decided to learn French and joined the church's French lessons. The Rector encouraged her to introduce a weekly Taizé-style prayer at the church, which led her to deeper involvement in the congregation. Makiko came to the U.S. to complete her studies at Columbia University’s graduate School of the Arts. She works for a major Japanese television network's New York office, producing cultural events such as art exhibitions and theater performances such as Kabuki for the Lincoln Center Festival. Makiko sings in Saint Esprit's choir and at Taizé prayers every Thursday at 6:30 and on Sunday mornings every three months. She leads the Cemetery Committee and is the Chair of the Altar Guild. 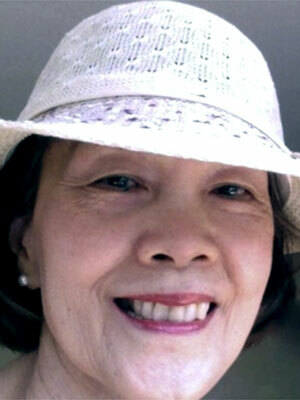 She is also active with the Episcopal Church’s Metropolitan Japanese Ministry and Episcopal Asian Ministry. Rosemary came to St. Esprit in 2011. She was elected to the Vestry in 2013 and serves as Treasurer of St. Esprit. She is also a Chalice Bearer and Sacristan. Prior to joining St. Esprit Rosemary worshiped at Christ Church on Park Avenue which she started attending after moving to New York City in 1999. She attended St Mary’s, Mohegan Lake where she served on the Vestry as Warden in addition to being a Chalice Bearer, Lector and Altar Guild member. She has also attended Cursillo and Education for Ministry. She graduated from Hunter College with majors in History and Classics. She earned her MBA at Simmons Graduate School in Management. Prior to retirement she worked for a communications company in Mergers and Acquisitions, Treasury and Benefits. She bought and sold businesses and then managed the pension and 401(k) assets. Rosemary has been very happy to be at St. Esprit. In addition to the Sunday worship in French she enjoys attending the Wednesday service and the Study Group/Bible Study Group on Wednesday evenings. She finds St. Esprit to be a very special place where all are welcome and feels privileged to serve on the Vestry. Marjorie has attended Saint Esprit since 2001 and has served on the Vestry since 2005. She is a native Creole and French speaker from Haiti. She has three children, two boys and a girl. For her and her children, Saint Esprit is a second home. After many years in health, she changed careers and became a surgical assistant in 2006. 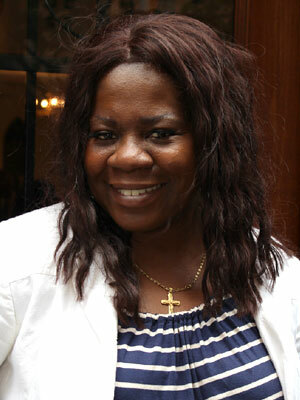 Presently, she works at Kings County Hospital in the MedSurge Unit and pharmacy. Marjorie loves to be involved in parish life, to organize and plan social events and receptions, and to coordinate volunteers for special events. She has been the driving force behind Saint Esprit's mission initiatives in Haiti, such as organizing financial assistance after natural disasters and shipping supplies to children at a school in Jacmel, Haiti. Marjorie also assists with preparing the altar and serves as a chalice bearer. Rita came to Saint Esprit came to Saint Esprit in mid-2008. She considers it a privilege to serve on the vestry of a church community that nourishes her spiritual life. Rita holds a Ph.D. in Psychology; she was involved in the teaching and research of social psychology for many years in the U.S. and in the Philippines. She left academic life to become the Vice President of the United Board for Christian Higher Education in Asia (1996-2008), her last job before retirement. After retirement, she served on the board on Morningside Retirement and Health Services for six years (2010-2016), the last five as President of its Board. She has also served on the vestry of Saint Esprit since 2010, and is on the Altar Guild and the Investment Committee. On most Sundays she helps with the collection of offerings and the recycling of paper materials used during the church service. She is a perpetual student of intermediate French and of mindful meditation. 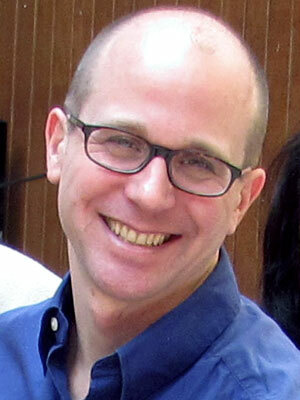 Tim joined Saint Esprit in 2003 and the Vestry in 2007. A journalist and editor, Tim writes about both emerging markets and jazz, and speaks French, Spanish, Portuguese, Italian and German. He works for WBGO-FM in Newark, has worked for Bloomberg News and USAID, jazz.com and Jazz at Lincoln Center, and taught at Rutgers University. The son and grandson of Presbyterian ministers, he was born in Geneva and attended Collège Cévènol in Le Chambon-sur-Lignon. He and his wife Christine have close ties to the Taizé ecumenical community in France and have helped organize Taizé gatherings in several countries. Tim serves as a chalice bearer, in music ministry, on the Building and Communications Committees, and is Saint Esprit's webmaster.